Individuals buy many goods to meet their needs. These goods are frequently packaged for preservation in healthy and secure conditions. For example, take a box of juice. When the juice is finished the box that remains is now packaging waste. 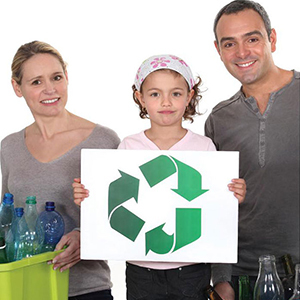 Packaging waste can be recycled when it is collected separately from other waste. We can take the initial step at home by collecting packaging in separate bags. Recycling can then begin when we deposit the packaging waste we collect at home in packaging waste containers closest to your house. If there are no packaging waste containers within your municipality you should apply to your municipal administration. Demand it for your future! Keep in mind that in accordance with the "Regulation on the Control of Packaging Waste", municipal administrations are under the obligation of collecting, or having collected, separately packaging waste at the source. Information regarding the timing of collection of packaging waste can be obtained from the cleansing services department of your municipal administration if separate collection efforts are under way in your borough. Click here to watch the informative film on how you can contribute to the Turkish economy and the nature by collecting packaging waste separately.